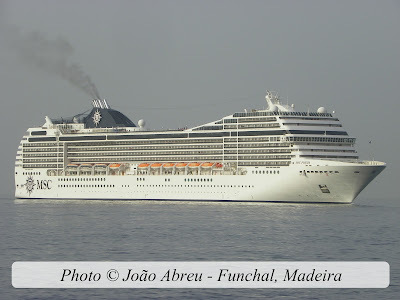 The Panama flagship MSC POESIA seen underway in Funchal, Madeira on 28th March 2012 during a eastbound transatlantic crossing from the Caribbean to Northern Europe where she'll be based for the upcoming summer season. MSC POESIA was the third cruise ship built by the french shipyards of Aker Yards, St. Nazaire for the Musica class of MSC Cruises in mid 2008. She's around 89,600 GT and has a standart passenger capacity of 2,550. The Musica class is a slight evolution of the first two built ships of the italian owned company with the youngest fleet in the market, MSC LIRICA and OPERA and therefore the main inspiration for the FANTASIA class of larger cruise ships of 138,000 GT. 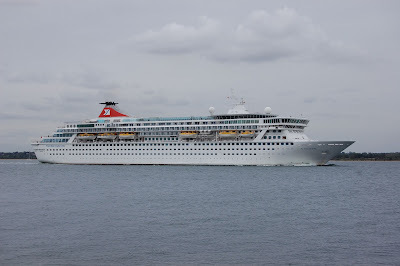 The incredibly beautiful "FUNCHAL" is seen in these photos yesterday at Lisbon, the ship is still undergoing a massive refit that started in September 2010, this unique cruise ship was built in 1961 and has lived a very happy life so far, owners are taking every care of the ship getting her ready to many years to come of cruising, the return to service of "FUNCHAL" will be cherished by all ships enthusiasts all over the world. 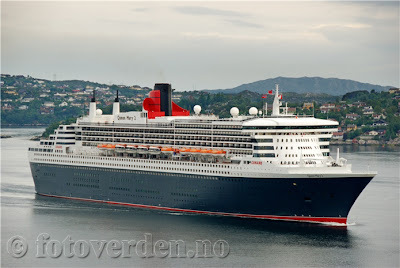 THE QE2 STORY is a website dedicated to one of the greatest ships the World has ever seen, the website was registered in 2008 year that the ship ended her career as an ocean-going passenger ship, by Rob Lightbody. 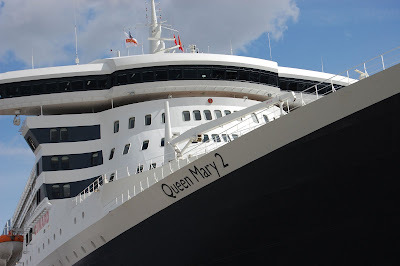 Today the site is quite possibly the most popular website on the Internet devoted to the QE2. A forum was launched in January 2009 to keep the ship alive with comments from people that worked on her, travelled on her and have been admiring the ship throughout the World. 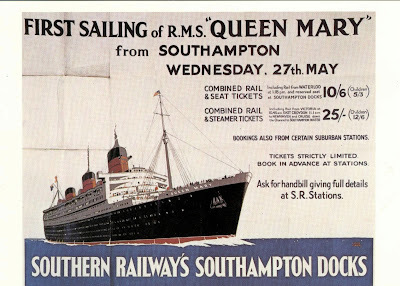 QE2 was the flagship of the British Merchant fleet for 35 years since 1969 until the new QM2 was introduced in 2004. 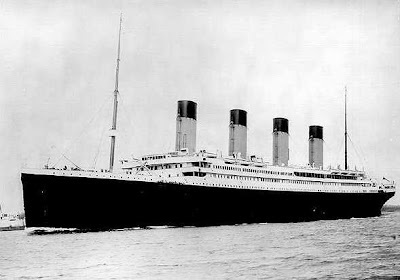 Queen Elizabeth 2 was the last of many British-built Transatlantic Liners born on the Clyde. The Great Economic Crash of 1929 and the building of "BREMEN" and "EUROPA"
Despite the Depression caused by the Economic Crash of 1929, ship building survived, the most surprising development was the decision by NORDDEUTSCHER LLOYD to build two new luxury liners for the North Atlantic, the SS "BREMEN" and SS "EUROPA", Germany was once again to rule the most important Transatlantic Run. Funds for the first of the sisters were raised on open market with a significant portion coming from Americans who wanted to help Germany after the post war recovery. 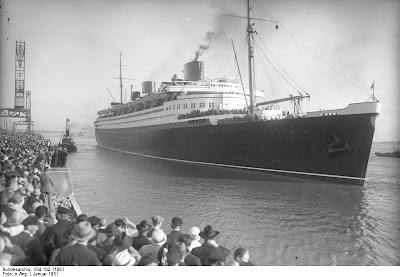 Both ships were launched in 1928, the "BREMEN" at DEUTSCHE SCHIFF UND MASCHINENBAU and the "EUROPA" at BLOHM & VOSS. Known as the "Grey Ghost" during WWII she transported over 800.000 allied soldiers as a troopship, it has been said that she and her sister ship the "QUEEN ELIZABETH" shortened the war for at least one year. The portuguese flagged cruise ship GRAND CELEBRATION underway in Funchal in the morning of the 11th November 2010. Imagens taken at the occasion of the ship's first visit in Madeira. The GRAND CELEBRATION was one of the first purpose built ships for the now american cruise giants Carnival Cruise Lines. When launched in the late 80's she was simply knowned as CELEBRATION and was part of a 3 ship class along with her sisters the JUBILEE and the HOLIDAY. 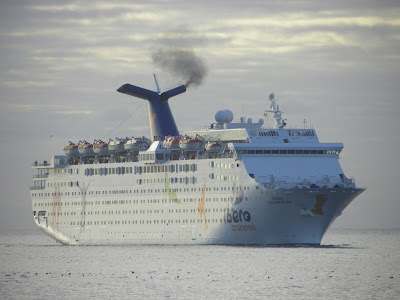 In 2008 she was sent to Europe and transfered to one of Carnival's brands, owned by the Costa group, the Ibero Cruises. 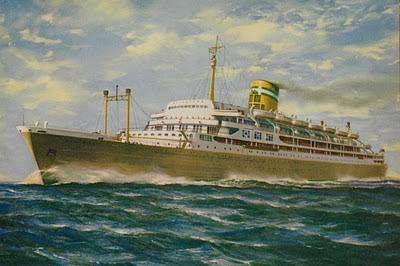 The following year her sister, the HOLIDAY, joined as well the Ibero fleet as GRAND HOLIDAY and now both operate mainly for the spanish market. 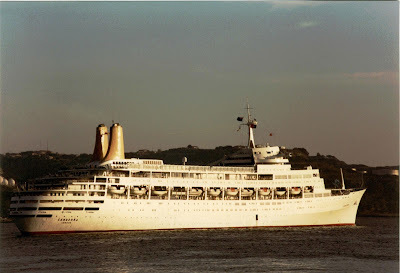 The JUBILEE instead was the first of that class to leave the Carnival fleet, as she was transfered to P&O Holidays as PACIFIC SUN for australian marketed cruising.